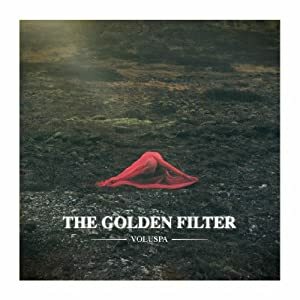 We’ve been most excited in anticipation of The Golden Filter’s debut release. The teaser tracks were very promising and the purity of the electronics, the crackling sound and the lovely tone of Penelope Trappes’ voice added up to a great potential. The actual album realizes some of said potential though it remains somewhat hit and miss. If there’s a major flaw with the release is the noticeable lack of heart and passion. There is a cold, calculating quality to the entire clutch of tunes here. Now this is electronic music we’re talking about and many of the greatest classic genre artists have perfected the art of cold (Kraftwerk, Gary Numan, Fad Gadget, early Human League, anyone?) but Softsynth tends to prefer electronic music with a little more emotional dredging. That said, there is great beauty in finely sculpted ice. We were worried. 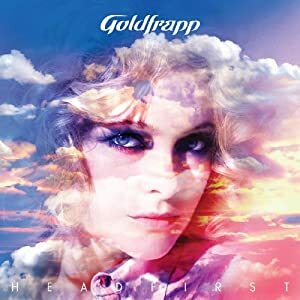 After following two of the greatest-ever electronic albums with the tepid The Seventh Tree, Goldfrapp stood as something of a precipice, do they regroup and remind us of the energy and punch they were capable of, or continue with experiments that don’t work and feel like a shadow of their best? They gave us the single “Rocket” which thanks to an odd Pointer Sisters synth refrain and a strangely emotionless energy, felt off somehow. Then we caught a glimpse of “Believer” which was just dull and uninspiring. We were worried. Was this another large-scale misfire in the offing? Was this disco experiment just window dressing for underwhelming songwriting? 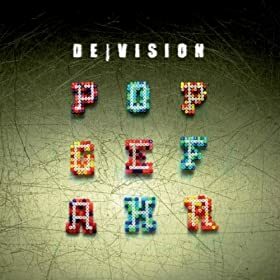 De/Vision’s greatest problem, especially as a particularly prolific band, is they release a lot of material that becomes electronic wallpaper, quickly forgotten. In their defense they are also capable of penning brilliant, catchy electronic pop songs that penetrate your psyche and stay there. We’re very pleased to report that their latest, Popgfahr, qualifies as the latter. This album is a big step up from their last album, Noob (which was, in its own right, a solid album). Where Noob features a couple of great, memorable songs (“Flavour of the Week” and “What it Feels Like”), their latest has a whole basketful of them. This album is the most purely electronic album De/Vision have recorded in many, many years and they wear it well. Very well, in fact. The vocals seem a little crisper, the percussion pops and sizzles and the main melody lines are, overall, really beautiful and cold. The one clear designation Serve or Suffer wins, right off the bat, is “most comically Teutonic album in recent memory. 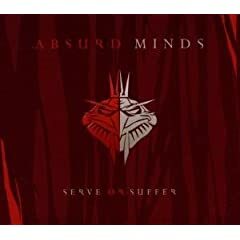 Perhaps the worst thing you can say about a band that takes themselves as seriously as Absurd Minds is silly, and yet all too often this album feels just that. In many ways this may be the most out-of-place review Softsynth has yet proffered. 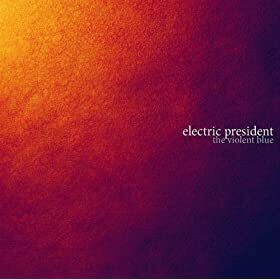 Electric President have historically fit snugly into a category we have christened “hybrid” bands – those that are neither purely electronic nor organic but occupy a happy place in the middle. And they are legion, ranging from the manipulative opaque chart cynicism of Owl City to the pure alternative artistry of Mobius Band, bands that crack out the guitars but which are guided by electronic percussion and synths which light the way for their songs. Many have taken issue with the broad perameters Softsynth uses to define electronic music and let us just revisit this debate briefly once more. Bottom line – what matters is the defining characteristic of a band. That sound which one can point to and say, this, THIS, is what this band really is at its core. It’s not about how many keyboards a band uses or if they deign to play a live drum kit, it’s about what sound is the very essence of a band (which is why the likes of Britney Spears can produce an album or two heavy on the synths but devoid of electronic definition the way a Lady GaGa embraces the pure electronic ethic in her music). So: Electric President. 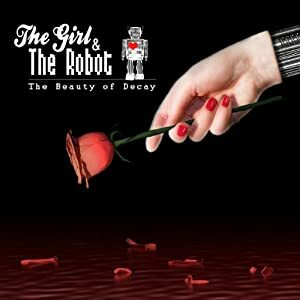 They get a review here for two main reasons – they have long been one of Softsynth’s dependable favourites and they have a proud history as a hybrid band with a foot firmly in the electronic music camp. Have Depeche Mode become irrelevant? The following may be seen as just this side of sacrilegious by some in the electronic community but upon listening to the incomparable 1985 one-off single “Shake the Disease” it suddenly stuck your humble blogger – Depeche Mode really don’t seem to matter in the big picture anymore. And this realization struck us as so fundamentally sad. DM are the reason Softsynth became a fan of electronic music back in the early-to-mid ’80s. The music was the soundtrack to our youth, their look and ethos provided us an identity as a typically angsty high school student. No other band played such an important role in this blogger’s life. There was a time when the release of a new DM album was a cause for celebration, for sleepless nights, especially in the pre-internet age when there were no downloads, no leaks, no previews. If you were lucky (and if you lived in this part of North America and were lucky to get Rock Over London on your local radio station) you might hear the lead-off single but that was it. The new Depeche Mode album was to be savoured in its entirety as a fundamentally new, unsullied experience. Black Celebration, Music for the Masses, Violator (as the first DM album purchased on CD since the cassettes were late to arrive at the local Sam the Record Man) – these were the stuff of deep, meaningful memories.